Become part of a language teaching community! This Open Education Week (March 27-31, 2017), we’re highlighting the importance of participating in a community. Working with other language teachers can help you grow professionally and give you new ideas for reaching your students. Read below for some vibrant communities you can be a part of. And remember: collaboration is easier when you put a Creative Commons license on your rubrics, activities, lessons, and other creations. This ensures that other community members can use your work more easily, while always acknowledging you as the author. #Langchat is a Twitter hashtag for all world language teachers to use in tweets to discuss anything regarding language teaching. Thousands of teachers use it daily to exchange information, get support and find new ideas to use in their classrooms. It is also used for 1 hour twice-weekly Q&A style Twitter chat. Discussion topics are suggested by/voted on by language teachers. The chats are Thursday 5pmPT and Saturday at 7amPT (the same topic for both chats). For more information on joining in this amazing online community visit http://bit.ly/langchatinfo. The Foreign Language Teaching Forum is an integrated service for FL teachers, dedicated to encouraging communication, sharing, and collaboration at all levels. Our broad discussion topic is foreign language teaching methods for any level of instruction in all languages. Specific areas of discussion include school/college articulation, training of student teachers, classroom activities, curriculum, and syllabus design. Students in teacher training programs, teachers both new and experienced, administrators, and other professionals interested in any aspect of foreign language teaching are invited to participate in our discussions. The basic premise of the list is that as professional Foreign Language teachers we are all in this together and are here to help one another. The moderators expect all participation in FLTEACH to be supportive and collegial and to follow the basic rules of good Netiquette. Find out more about connecting with FLTEACH through #flteach on Twitter, on Facebook, in the listerv. The COERLL Heritage Spanish community is a space for instructors (K-12 and higher education) who want to collaborate, share and communicate with others about the teaching and learning of Spanish as a heritage language. On our website you can find and share resources such as articles, program profiles, classroom activities, event information, sylllabi, information on current affairs, etc. We also have a Heritage Spanish Café, which is an online forum where you can start conversations with other instructors about topics or questions relevant to the community. We would love for you to be a part of our heritage Spanish community. Visit our website to peruse content, sign up to talk to other members, and email us if you have any questions. 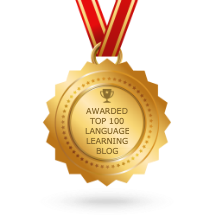 COERLL’s Foreign Languages and the Literary in the Everyday (FLLITE) group is for language teachers who would like to improve their students’ reading skills through the use of authentic texts of everyday genres, including memes, poems, blogs, and images. Talk to other teachers about what texts to use and how to use them by joining the Facebook group, or read example lessons on the website. The Deutsch im Blick Online community focuses on connecting learners and teachers of German by sharing content; whether it is a fun meme or an article about cultural differences, learning or teaching material. On Facebook, you can connect and interact via likes, comments or direct messages to DiB. In addition, teachers can join the DiB google group and quizlet classes, to share teaching material. Here, you can also get in touch if you have questions or comments about the DiB material. Our overall goal is to create a fun space to promote learning and teaching all about the German language and culture. Like the DiB page and get involved! The Français Interactif Facebook group is a unique community of francophiles, francophones, avid language learners and teachers. Originally created in 2011 as a support group for users of the University of Texas at Austin’s Open Educational Resource (OER), Français Interactif (FI), our fanbase is now spread over six continents and nearly 300,000 strong. Followers will delight in daily provocative posts that share, introduce and discuss various cultural and linguistic aspects of French-speaking cultures around the world. Those who want to engage more actively with the FI community will find vibrant multilingual discussion happening on our wall and in the comment section of our posts. Want to share a resource? Have a question on the group? Experiencing a problem with the FI OER ? Reach out to our moderator via PM, and she will point you in the right direction. Join us for la biggest francophone fête on la planète! CALICO, the Computer-Assisted Language Instruction Consortium is an international organization dedicated to research and development in the use of computer technology in language learning: computer-assisted language learning (CALL). CALICO began mainly as a group of people interested in using and producing technology-based materials for second/foreign language teaching. After more than 25 years of growth and experience, CALICO now includes language educators, programmers, technicians, web page designers, CALL developers, CALL practitioners, and second language acquisition researchers–anyone interested in exploring the use of technology for language teaching and learning. Introduce yourself on the CALICO Facebook page, or visit our membership page to join. Do you know of any more communities for language teachers? Let us know what they are and how to get connected in the comments! And for more information on open licenses, see the Creative Commons website. << Previous PostRead the license! Thanks! These are great for an additional European perspective.